The Stamina® Airgometer Exercise Bike is quiet, smooth, and reliable to withstand seriously intense workouts.The Stamina Airgometer Upright Exercise Bike utilizes magnetic air resistance technology that provides ample resistance to tone muscles and breeze to cool you off during workouts. This upright exercise bike features low resistance yet offers a total-body cardiovascular workout - you'll definitely feel the burn and revel in the results. 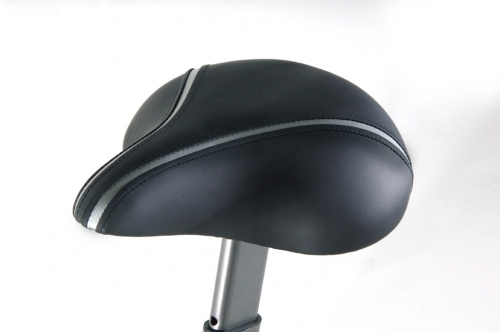 This air resistance bike is simple to use yet comfortable with the wider, cushioned seat, weighted, textured pedals, and padded dual action handlebars. Cycling improves your cardiovascular fitness and strengthens your entire body including legs, thighs, hips, calves, arms, and chest. The dual action handlebars add an upper body workout and more intensity to your workout to burn calories and fat. 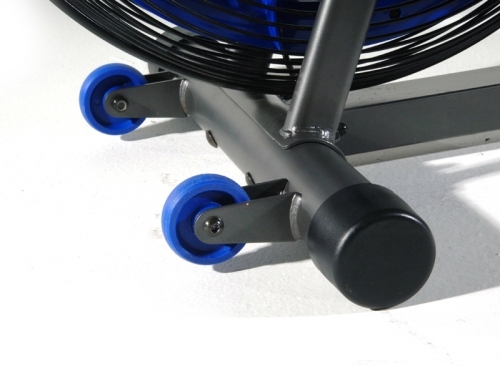 The Stamina Airgometer Exercise Bike is a low-impact stationary bicycle that uses smooth, air-based resistance to provide intense workouts for your lower body and cardio system. 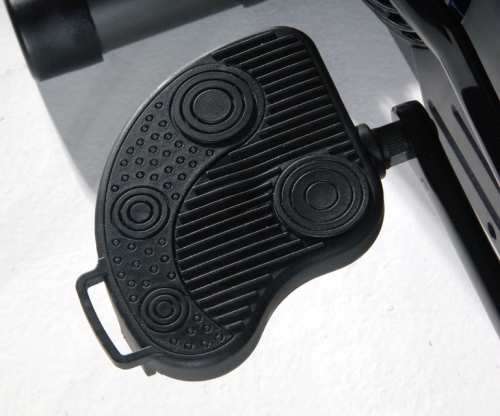 The Stamina Airgometer provides increasing resistance the harder you pedal, providing an endless challenge that will help keep you fit. The dual-action handlebars move in sync with your legs so you are toning your upper body as well as building heart and lung strength. With a wider, adjustable seat that is cushioned for enhanced comfort, wheels for convenient portability and a big, easy-to-read display screen, the Airgometer Exercise Bike is a reliable tool that is satisfying to use. 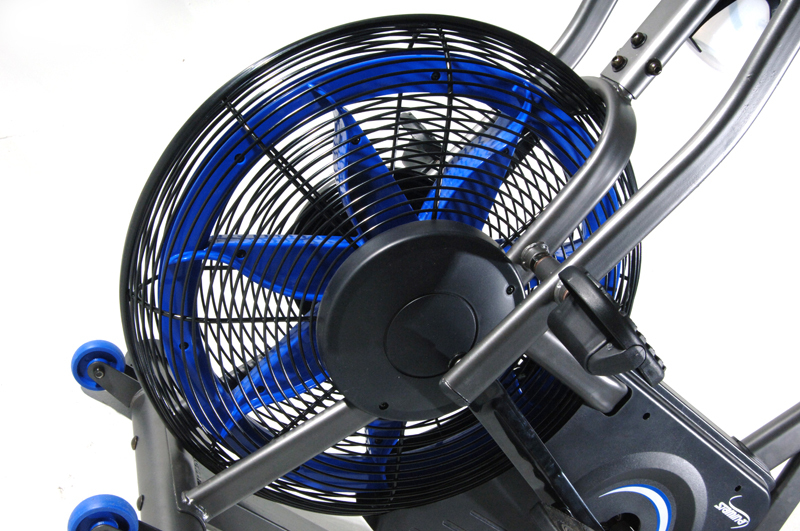 If you want equipment for your home gym, buy the Stamina Airgometer Exercise Bike from FitnessZone.com today! Get smarter workouts and faster results with quality training in the comfort of your own home with the Stamina® Airgometer Exercise Bike and start your journey to a healthier and stronger body. 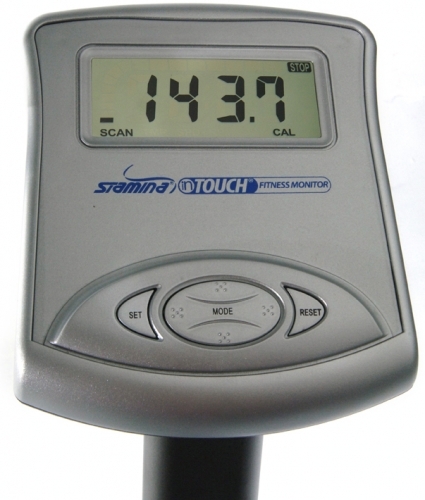 Call 1-800-875-9145 to talk with one of our friendly agents with any questions you may have about the Stamina® Airgometer Exercise Bike and get on the road to a great cardio workout. 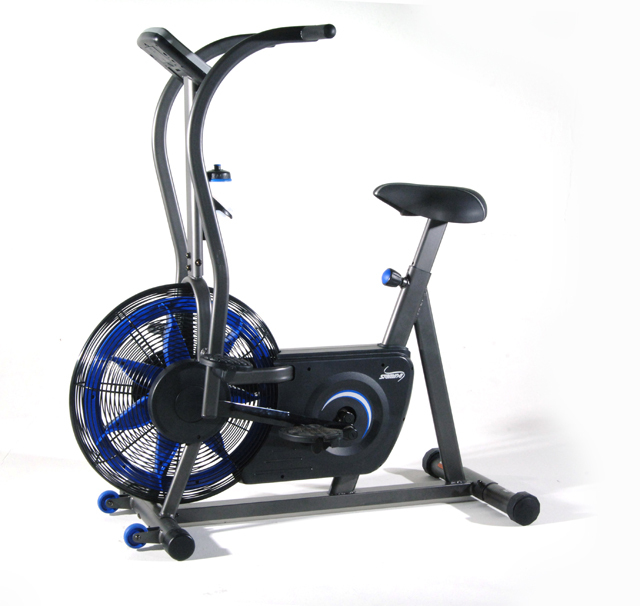 Go to FitnessZone.com to order the Stamina 15-1100A Airgometer Exercise Bike! Targeted Training: Improvescardiovascular fitness and strengthens legs, thighs, hips, calves, arms, and chest. The dual action handlebars add an upper body workout and more intensity to your workout to burn calories. and fat. 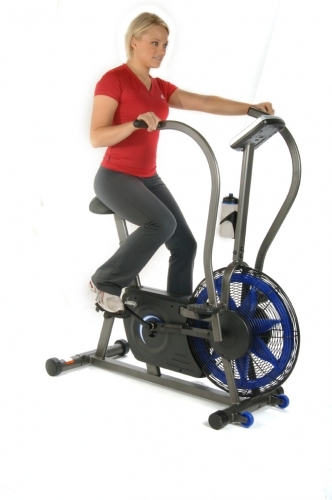 Order your Stamina 15-1100A Airgometer Exercise Bike from FitnessZone.com today!